Doctors of BC was founded in January 1900 as the BC Medical Association with Dr R.E. McKechnie, a surgeon from Nanaimo, as President. The Association was founded on two primary principles; the first to guard and strengthen economic security and second to promote education so that the best medical minds had a forum to share the knowledge of the profession. Membership was open to BC doctors with an annual fee of just $2.00. The first annual meeting, held in August of 1900, opened with an address by the President on "The Relation of the Profession to Politics". He emphasized the importance of the association in the influence of legislation that would protect the practice of medicine. The association has had a rich and storied history. 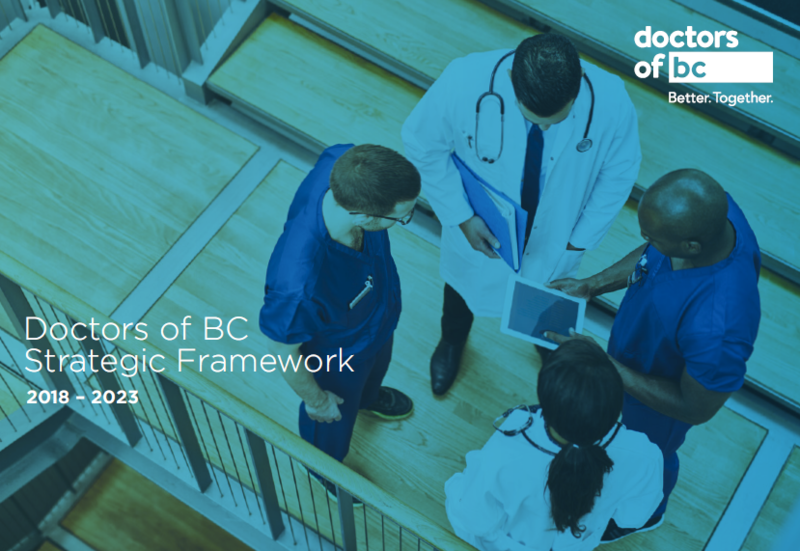 Dr Brad Fritz, who has been a Doctors of BC Board member for nearly 40 years, has written a short history of Doctors of BC since 1965, when BC’s first government-sponsored medicare program was introduced. Based on many interviews and exhaustive research, The BCMA, Then and Now: A Selected History from 1965 to Doctors of BC tells many of the colourful stories that illustrate how the association became what it is today. Doctors of BC is pleased to make Dr Fritz’s book available here (pdf). For a list of Doctors of BC past-presidents, click here.